Up until fairly recently, workers normally went into the office, collaborated face-to-face, and worked on-site for most of the day. However, as technology has advanced, more people are starting to work remotely. It is now possible to be outside the office, get your work done, and still communicate with your team through email, and apps. However, how do you manage a remote team? The following information will show you how people are working off-site more often, how it makes sense for your business, and how to effectively manage everyone. Working out of the office has become a growing trend. In fact, as PhoneCheck suggests, millennials are looking for remote work in order to “create their own hours, control the volume of their work, and perform their jobs in any location.” Flexibility of schedule, and being away from supervisors who may look over their shoulder are two of the biggest reasons why they choose to work off-site. As PhoneCheck also tells us, supervisors need to understand this issue. Providing modern technology for the team goes a long way. It increases efficiency, and allows people to take their work with them wherever they go. While it helps them to work while on-the-go, the new technology will also allow you to monitor their progress. In fact, there are several ways you can make the mobile workplace successful. Indeed, as Forbes says, you can monitor your staff by focusing on performance management. Sometimes, they need motivation, and a reminder to “get back to work.” But, you can also send them a quick note regarding a job well done on a recent project. You don’t need to be there in person to give your team a pat on the back. However, you also need to keep the conversation going all the time. Conference calls, individual calls, and consistent email conversations are necessary to keep communication going between you and your team. But, remember – both sides need to communicate. You cannot just expect them to check in with you. They need to hear from you, as well. You should also agree on what platforms work best for the team. Using video conferencing software will allow everyone to check in, and see the whole team, no matter where they are at the time. Group emails also work for any project that involves multiple people. Lastly, don’t forget to agree on a file sharing system that everyone understands how to use. That way, everyone can access the same files without needing to set up an extra meeting. All of these platform issues need to be addressed in order for the team to be successful. When all the issues are worked out, you need to figure out how you will manage your team successfully. Entrepreneur suggests an organized plan. Since everyone is out of the office, you as the manager need to develop a plan that lets everyone know what the group – and individual – needs are. Much like on-site work, if the team doesn’t know what’s going on, everything will go out the window. However, it’s even more important for a remote team since everyone is in a different location. Without a structured schedule, you won’t be successful. As discussed earlier, you also need to set up regular meetings with your team – as a group to discuss team tasks, and individually to conquer any issues that are getting in the way. Visual conferencing goes a long way for both situations because you can see each other’s body language, and cues you won’t get from words on a screen. It also helps avoid miscommunication, and misunderstanding. Knowing expectations is also essential. Everyone on the team wants to learn, and grow. You can provide that information by checking in with everyone. Kudos, and constructive criticism will help your team members understand what they are doing right, and what needs improvement. Communicating this information will not only help everyone accomplish their goals. It will also help the team understand how to move forward within the company. 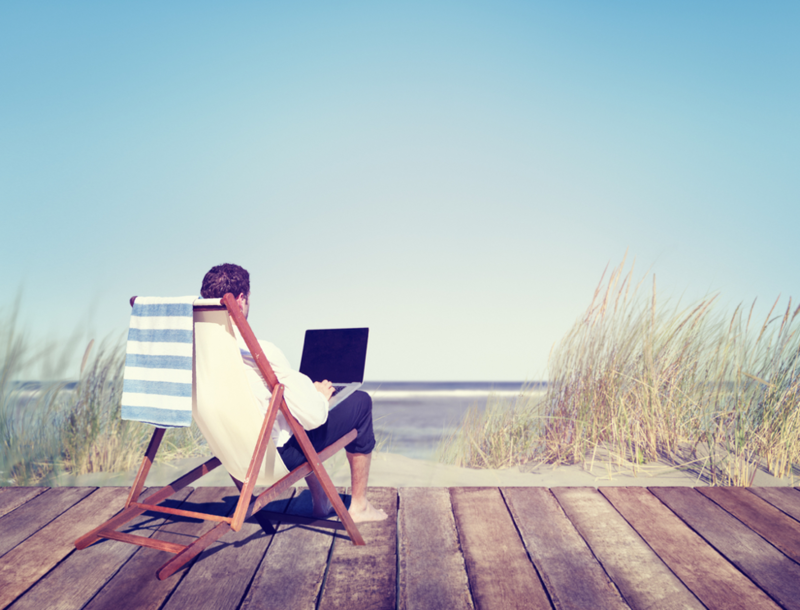 Managing a remote working team can be a tough task if you don’t have a plan in place. Using the best platforms, setting structured schedules, and communicating with everyone is essential for success. However, when all of that is in place, your workers will be able to be productive from any location. What is Margin in Intraday Trading?